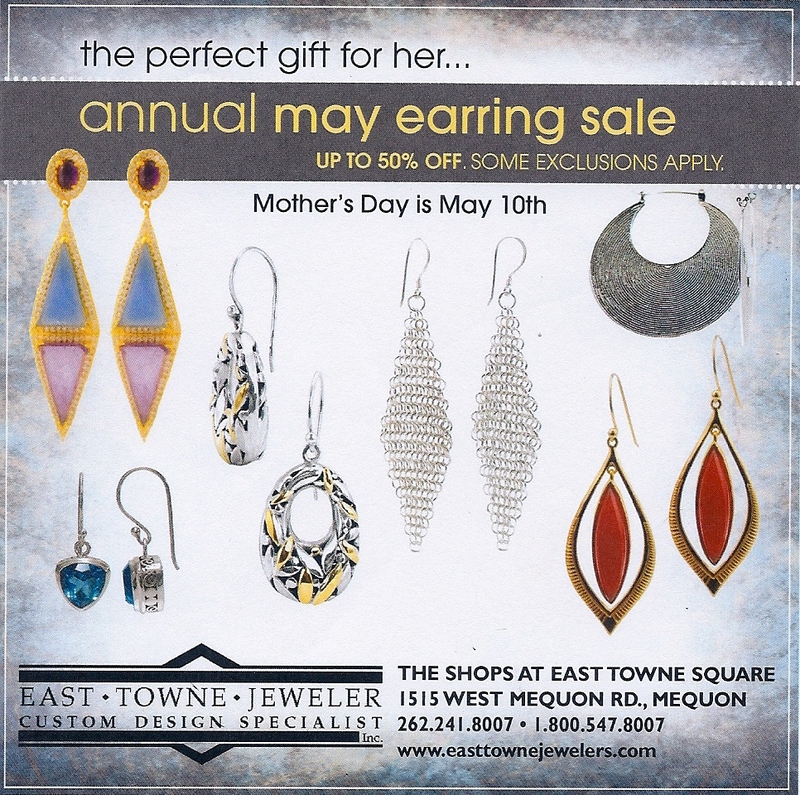 For the entire month of May we're holding our Annual Earring Sale! As the weather warms up now is the perfect time to add a little pizzazz to your summer wardrobe with new earrings. Earrings can help you dress up and outfit or dress it down, they can complement what you are wearing or make a statement. East Towne Jewelers has lots of unique styles and colors. Earrings make great gifts too for birthdays, anniversaries, and graduations. Bring a fun pair of earrings as a unique hostess gift, and don't forget Mother's Day is May 10th!